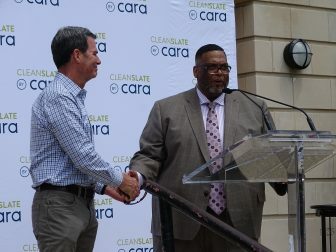 Cleanslate, a social enterprise of Chicago’s Cara nonprofit, will contribute more than $300,000 over the next three years in the 29th Ward to beautify the area through its ward-by-ward initiative ― creating about 60 jobs in the process. The initiative, funded by six sponsor families, will employ individuals to improve city areas with work like litter abatement, landscaping, graffiti removal and more. A crew of five, with three supervisors, will work throughout the ward three days a week. In addition to holding the paid position, workers also receive services from Cara that help them find long-term jobs with the non-profit’s partners like the Chicago Transit Authority and Northwestern Medicine. This is the initiative’s first expansion since the program launched last August in the 27th Ward. 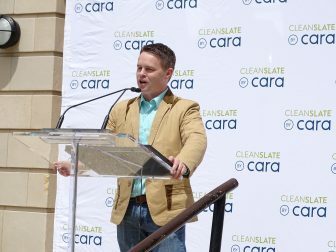 Cleanslate managing director Brady Gott speaking at the 29th Ward kick-off event May 18, 2018. 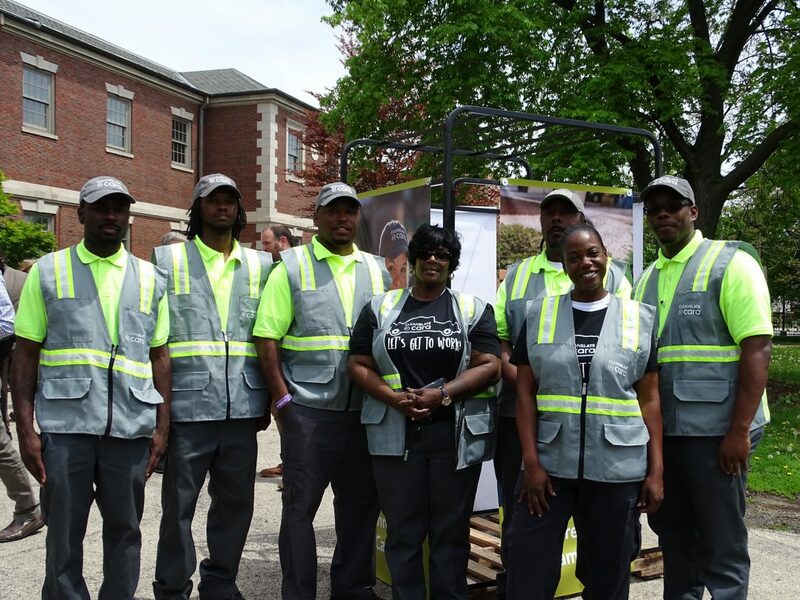 Cleanslate managing director Brady Gott said 20 jobs have been created so far in the 27th Ward the program started and that his group has received feedback from community members that the area is cleaner, safer and there’s a greater sense of community pride. Gott said the service is designed to offer a pathway for individuals to receive training and take advantage of Cara’s resources to find a more permanent position. Ald. Chris Taliaferro (29th) thanks sponsor Bill Conroy for his contribution to the Cleanslate program. 29th Ward Ald. Chris Taliaferro attended a kick-off event for the initiative Thursday held at the Austin Town Hall where he thanked the sponsors and Cara for expanding the initiative to his neighborhood. Taliaferro said oftentimes community members have an easy time getting a job but have difficulty in keeping a job or finding a position that allows upward mobility. Members of the 29th ward’s first cleanup crew were also introduced during the event. Jeremy Thompson, 24, a West Pullman resident and member of the 29th Ward crew, said he heard about Cleanslate after having trouble finding work following his release from prison in December 2017. “Before this I was doing a temp job, and it was hard because it’s not guaranteed that you’ll work,” Thompson said. He has now been working for Cleanslate for seven weeks and recently had an interview with the CTA after Cara proof read his resume and provided him a suit to wear. Thompson said without first working with Cleanslate he never would have had the opportunity to pursue a position with the CTA. Additional attendees of the event included Cara founder Tom Owens; his son and board member Tom Owens Jr.; and 29th Ward sponsor Bill Conroy, a Cara board member and president of the Conroy Advisors consulting company. During his closing remarks, Gott said banners with the names of the sponsors will be hung from light poles around Austin. Taliaferro said he believes the opportunities provided by the initiative will assist in reducing violence as well as strengthen morale within the community. “If I would have had this when I was 9 or 10 years old, it would have changed everything," Antonia Ruppert said at last week's event. Do you want to be a part of the solution?